What is The Vogue Italia Archive? The Vogue Archive project is the product of an exclusive partnership between ProQuest, Vogue and Condé Nast (the global publisher of Vogue) to present the full run of The Vogue (America edition) and Vogue Italia, for the library market. Vogue Italia Archive is a digitized archive and includes every issue scanned from 1964 to the present. Every page is reproduced in high-resolution color, with rich indexing enabling images to be searched by, for example, garment type, designer, and brand names. In addition to the editorial content, all covers, advertisements, fold outs and pictorial features are captured as separate documents, indexed, searchable, and viewable in beautiful high-resolution color. Each issue can be browsed cover-to-cover in full-page, full-text format. The entire text is searchable. The Vogue Italia Archive will make available the entire run – spanning more than half a century – of one of the most influential and renowned international editions of Vogue. Whilst the magazine had a trade emphasis when it launched in 1964, from the outset it regularly used leading photographers such as Albert Watson, Helmut Newton, and Richard Avedon. It subsequently became more emphatically a magazine of style. It is now recognized as the least commercial and most artistic edition of Vogue. 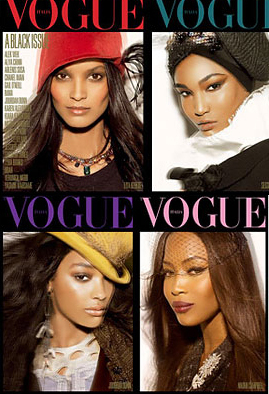 Its many innovative, often controversial, initiatives include an all-black issue for July 2008, featuring only black models and offering articles about black women in the arts. Other issues have featured, for example, a shoot on the site of the Gulf of Mexico oil spill (commenting on American oil consumption) and the use of plus-size cover models as part of a campaign against pro-anorexia websites. 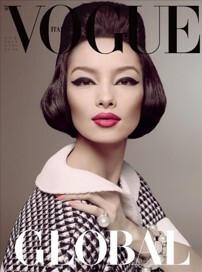 Vogue Italia’s appeal is international, with almost half of its print issues typically being sold outside of Italy. The current editor Franca Sozzani has spoken of the magazine’s enduring ethos of maximizing its global reach through prioritizing visuals and recognizing that the image must be the real language of the magazine. The archive spans all aspects of the fashion world, from trends and runway shows to personalities and industry initiatives. Among the leading photographers/directors to have contributed are Steven Meisel, Peter Lindberg, Bruce Weber, Paolo Roversi, Miles Aldridge, Ellen Von Unwerth, Solve Sundsbo, Mario Sorrenti, and Steve Hiett. Editorial content, however, extends beyond fashion, with high-quality coverage of many other topics, such as art, film, literature, music, cuisine, architecture/design, beauty/health, and travel. The magazine is also known for its social commentary and bold treatment of current issues and events, having addressed topics including environment/sustainability, cosmetic surgery, addiction, war and foreign policy, terrorism/security, and domestic violence.